There are several “versions” of WordPress now available. There is the official full version of WordPress, the WordPress free blog hosting service WordPress.com, the hosted versions of WordPress, and the amazing WordPressMU, the multi-user version of WordPress, which is now incorporated into the full version of WordPress, selected by installation options, and called WordPress blog networks. Confused? Let’s see if we can make sense of all these WordPresses. The full version of WordPress is available for download from the official WordPress Download site. It’s free and easy to install. The full version of WordPress is designed to be used by the average website owner. If you have a website with PHP and MySQL available on your server, and meet the rest of the requirements, you can install WordPress on your site and have one of the best blogging and site management programs around. With it, you can do just about anything you want. If your goal is blogging, then dig in and start writing. If your goal is to customize and tweak your site to be whatever you want it to be, then depending upon how much time, energy, and experience you have with CSS, HTML/XHTML, and PHP, you can do whatever you want to your WordPress blog. For the basic to intermediate user, WordPress has the power to make you very happy. Even for the advanced user, WordPress has many plugins and extensions that will allow you to run multiple blogs, meet SEO and CMS needs, and expand, change, and manipulate WordPress into whatever your site or business needs. If you just want to blog, there is the free hosted version of WordPress called WordPress.com. You can quickly sign up for a WordPress blog and within seconds, start blogging. Sure, it takes a little more time to choose a WordPress Theme and investigate all the options and features, but I’ve seen people set up a WordPress blog in minutes, including exporting and importing from another publishing platform, and start blogging right away. WordPress.com is the premiere WordPress site, acting as a beta tester for new features coming out for the self-hosted, full version of WordPress. 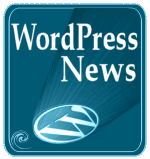 WordPress.com users often get sneak previews of new features long before they hit the rest of the WordPress community. WordPress.com does have limits. There are terms of service to be obeyed, and limitations on WordPress Theme designs and no WordPress Plugins, but it isn’t a publishing platform with many limits any more. If you want to concentrate on content, then WordPress.com is your solution. To sign up for a WordPress.com blog, go to WordPress.com. For support, use the WordPress.com menu bar at the top of your browser screen when logged into WordPress.com or try the WordPress.com Forums. When installing WordPress, you now have an option to choose to create a single blog or a blog network, formerly known as WordPressMU. The blog network allows you to set up many blogs through a single install of WordPress. 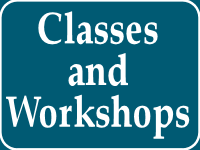 This is often used by businesses, associations, organizations, or member sites. It is also used by many companies to provide hosting options. 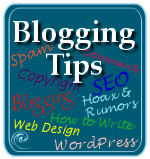 A blogger on a WordPress blog network has an experience similar to using WordPress.com, where their options are limited, focused primarily on publishing content, depending upon the restrictions set by the “parent” blog that controls what the “child” blogs can do. A WordPress blog network is typically distinguishable by the URL featuring a variety of subdomains with the same root domain such as lorelle.wordpress.com and vanfossen.wordpress.com. As the “super admin” of a WordPress blog network, you choose what features, from Themes to Plugins, you want on your site and which blog has access to which features. It’s one of the most powerful publishing network platforms and continues to grow and improve. You can find support for multi-site WordPress blog networks on the WordPress Support Forums. There are many website hosts that now offer WordPress preinstalled and ready to go. You just sign up with them, pay your fees and away you go. The server host will help you set up your domain name and account, and do all the running around to get your site ready, even keeping WordPress up-to-date with the latest versions. No effort. You just blog and have fun. These are different from web hosting services which provide a one-click install of WordPress and automatic updates. Hosted WordPress sites are typically running the blog network version of WordPress. Most hosts allow you to customize your WordPress with WordPress Plugins and various Themes, as if you were using the full version of WordPress. They just installed it, but from here on, you are on your own and can do whatever you want. If this is the case, take care to avoid changing the core programming files as this information may be erased when the host does a massive upgrade to the core programming files, as is their right as your host. So keep your tweaks and changes to the wp-content folder where your Themes and Plugins reside. Some hosts may limit what elements you can change and tweak in WordPress. Check each host thoroughly before deciding. New hosting services are signing up to offer WordPress all the time, so check in with the WordPress Hosting Services for the latest list of hosts. Support comes directly from the hosting provider, though tips and help can be found on the WordPress Support Forums and WordPress Codex, the online manual for WordPress Users, though the web hosting service may have things set up differently from the typical WordPress network installation, so check with them first. Which Version Do I Choose? How much control do you want over your blog? Do you want to use one of the over thousand different WordPress Themes for the layout and look of your blog? Do you want to create your own WordPress Theme, customizing and tweaking the look to your specifications? Is the technical stuff too much trouble and overwhelming? Not interested in that? Are you a business who wants to offer blogs to your employees as part of creating a communications network? Are you a big business with many franchises or offices spread around the country or the world and you need blogs to help the different agencies and officers provide information within the company network? Are you a member of a group that wants to offer free hosting to its members? Are you a member of a group who wants to create a network of members of your group with topic related blogs? Do you want to write your own WordPress Plugins? Do you have a lot of experience with web page design? Do you have a lot of experience with PHP and MySQL programming? Do you just want to blog and leave the rest of the techie stuff to someone else? Are you selling a product or service? Is monitoring your site statistics and SEO features critical to you? Do you want to spend money? Look at your answers. If you don’t want to tweak, torque, or customize, get a hosted version of WordPress or sign up for WordPress.com. 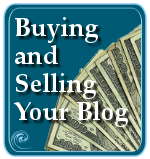 If you don’t want to spend money to blog, sign up for WordPress.com or one of the other free WordPress blog network driven free blogs. If you want total control over your WordPress blog or site, and you have the money to purchase hosting services, then either choose the hosted version of WordPress or the full version of WordPress, depending upon how much fear you have about installing WordPress yourself. If you want to change the core programming files, then do not use the hosted version of WordPress. If you are part of a group or business that needs blogs to add to intra-company communication or want to collect up all your friends who collect stamps, coins, music, quilts, or other hobbies in one place with everyone talking about the topic on their own blog, then consider investigating in WordPress blog networks. Why Should You Choose a WordPress Product? WordPress offers free technical support via the WordPress Support Forum and WordPress.com Support Forum staffed with fans and volunteers eager to help solve your problems and answer your questions. WordPress is alive. It is an active and ongoing project still in its infancy but with millions of fans and hundreds of dedicated fans, workers, developers, and volunteers constantly contributing to WordPress in one way or another. WordPress is easy-to-use, simple to expand and change, and will grow with you and your website over time. You can add hundreds of different WordPress Plugins to expand and influence how your WordPress blog works and responds to visitors. You can incorporate a chat or forum within your WordPress site to increase communication and information exchange. WordPress is highly customizable, to the point that some companies use WordPress to drive their websites and you probably don’t know it. Most versions of WordPress are FREE. Did I say that already? Good enough reason for me. Free is good. This entry was written by Lorelle VanFossen and posted on August 27, 2005 at 8:57 am and filed under WordPress, WordPress News, WordPress Tips with tags how to use wordpress, wordpress, wordpress help, WordPress Tips, wordpress tutorials, wordpress versions, wordpress.com, WordPressDotCom. Bookmark the permalink. Follow any comments here with the RSS feed for this post. Post a comment or leave a trackback: Trackback URL. 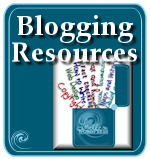 We’re using WordPress MU over at Blogsome, offering free blogs there. 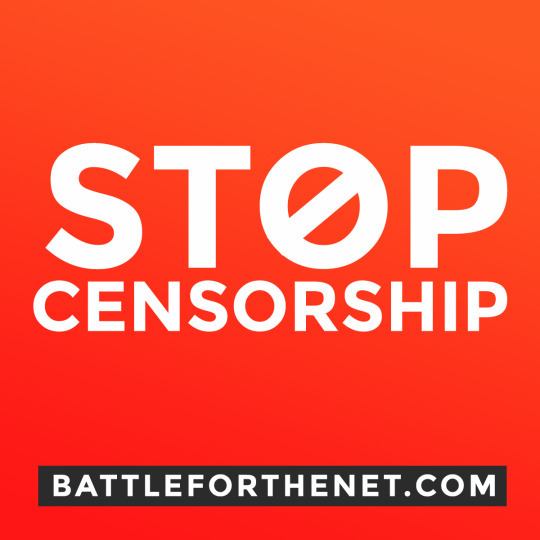 A little money can go a long way to help WordPress keep doing what it does so well, and this action will keep us from begging when the electric company threatens to turn out the lights. WordPress.com is based on the most stable version of WPMU put together to date. Those of us running various “unstable” builds are a little curious as to why this version hasn’t made it out to the current users running WPMU powered blog hosting especially since the main developer is now working directly with wordpress.com so heavily. Not that we’re bitter. 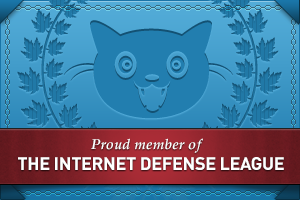 It’s a great program as is, we’d just like to get bug hunting off the top of our list of priorities. I think it is marvelous to call wordpress.com the most stable version of WordPressMU but it is still undergoing massive testing and bug fixing. A lot of work has been done, and if you really want to know the answer to the question, you’ll have to ask on the WordPressMU support forum for the answer. I know that Donncha has been working overtime to get the new version of MU out, but I guess there are some more bugs in there. I still run across plenty using WordPress.com here, but they are getting farther and fewer in between. The new graphics upload feature, for example, is still having troubles, as is the WYSIWYG and non-WYSIWYG interface, but these are minor. Just annoying. You’ll have to ask Donncha to find out the answer you are looking for. The latest version is 2.0.4 with lot of bug fixes (50!) be sure to upgrade. Iam a complete newbie to blogging and wordpress. 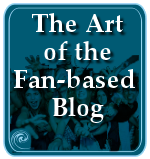 I went through your blog and it is really informative and interesting. Excellent work. Well i have a doubt i have heard a lot about wp-content and plugins folder but i couldn’t figure out where exactly can i find those. I searched all my dashboard and couldn’t find pluguns tab. Plz do help me. If you are blogging with WordPress.com, which is what it looks like, you will never see those folders. That’s part of the restricted limits of using WordPress.com. For most people, even with the full version of WordPress, they won’t look for those folders on their servers unless they want to customize their WordPress blogs and add Plugins. With WordPress Widgets, a variety of WordPress Themes, and customizable WordPress design options, there are a ton of things you can do with your WordPress.com blog that make a lot of people very happy. Latest version I heard is 2.2.3 but I tested it and has many bugs! You will have to be more specific with your claim. Yes, all versions of WordPress, as well as all software, has bugs. It’s always an ongoing process to develop “perfect” software. Is there a specific bug that is causing you trouble? Also, this is not the place to report bugs. Please direct your concerns and issues to the right authorities so they may deal with the issues you’ve uncovered. It would go a long way to helping improve WordPress in future versions. Thanks. This Plugin is no longer supported and does not work with current versions of WordPress.